To really get to the heart of Wisconsin, you need to understand its cheesy love affair. A cow-strewn farmland that churns out more than 600 different types, this Midwestern state accounts for around a quarter of America’s cheese production. The locals are so crazy about their dairy dishes that they even refer to themselves as ‘cheeseheads’ and can be found donning rubber cheese-wedge hats for special outings. Fellow fromage lovers visiting Wisconsin will be spoilt for choice with tasting opportunities available in various cafes and restaurants. One of the state’s most prestigious cheesemongers, Fromagination stands out for its high-quality spread of small-batch and rare artisan cheese. The Madison-based deli is like an Aladdin’s cave where visitors are encouraged to smell, see and taste cheeses and learn about their heritage. Sit in and enjoy samplers, served with dried fruit and mixed nuts, platters of seasonal cured meats and hearty soups. This prestigious fine-dining landmark on Madison’s Capitol Square was first opened in 1976 by farm-to-table mastermind Odessa Piper. Today, L’Etoile sees award-winning chef Tory Miller at its helm who takes guests on an epicurean adventure by using luxurious local ingredients to create faultless flavor. Your multi-course tasting menu will always showcase the best local dairy creations, and you can finish with a cheeseboard of cave-aged Bandaged cheddar served with jamón Ibérico, Bartlett pears, and pea vine. Stylish urban tavern Millioke in Milwaukee’s East Side district is one of Wisconsin’s more refined settings for cheese tastings with its starched white table cloths, dark decor and mood lighting. The focus here is on quality not quantity — just 12 artisanal varieties are carefully handpicked for their unique and delicious flavors. Try one of their signature boards, perfect for a casual lunch, or book a table for dinner to enjoy local cheeses worked into thoughtful gastronomic dishes. Founded in 1938 in Milwaukee, the Cheese Mart has grown from a small store to a leading Wisconsin landmark. Its shop stocks around 200 different cheese varieties that celebrate local Wisconsin produce as well as notable and award-winning hunks from 50 other states. Ask the staff to help you pick out a delicious gift box or take a pew at its elegant cheese bar to taste some samples. Teamed with a local brewery, the bar also holds regular cheese and beer pairing events. Step back in time at The Old Fashioned, where sultry lighting and wood furnishings evoke a sense of vintage class. The focus is on serving Wisconsin’s finest meats, cheeses and local specialties sourced only from small local producers. On the menu you’ll find a delicious beer and cheese soup, comforting mac ‘n’ cheese with Wisconsin cheddar and Sarvacchio, and cheese plates with Wisconsin’s finest served on rotation. 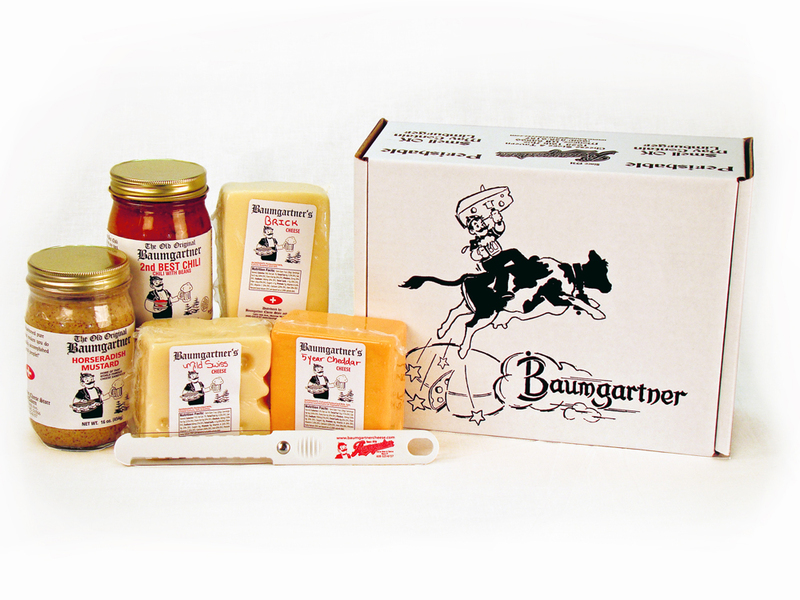 Ask any local in Monroe for a cheesy recommendation and they will most likely point you in the direction of Baumgartner’s, found on the town’s historic Courthouse Square. As Wisconsin’s longest-running cheese store, opened in 1931, it hoards a dizzying assortment of specialty Wisconsin types that are partnered with craft beers. For the ultimate comfort food, head to MACS — a concept shop and eatery dedicated to serving the ultimate macaroni and cheese. Forget the image of the simple boxed stuff you’re used to — this place excels at whipping up a fancy twist on the well-known staple that is served in a sizzling skillet topped with crispy breadcrumbs. Dishes come in various sumptuous variations: try the Baked Potato Mac, an energy-rich Popeye Mac with spinach and the Ultimate Hangover Cure Mac piled with cheddar, pepper jack and mozzarella, fried hotdog, mushrooms and hash browns. As the name promises, this address caters to beer-loving gourmands with its 36 local tap beers that come from various breweries around Wisconsin. The ever-expanding cheese menu ensures that your beer choice can be perfectly matched by a hunk of cheese; there are tasting plates, brat sausages, five different plates of mac ‘n’ cheese and some seriously indulgent grilled cheese sandwiches. The place benefits from a lively vibe and friendly staff who can advise on the perfect combo for each occasion. This extensive cheese pantry started out as a retail store before expanding to include a deli and lunch counter where customers come to experience a picking of 200 types of cheese. The dining area is reminiscent of a cozy country kitchen, complete with colorful shabby-chic wooden tables and cheery checkered tablecloths. The menu offers sandwiches on various artisan breads, wholesome salads and hearty soups. Award-winning Edelweiss creamery is housed in a cute little cottage that feels instantly inviting with its geranium-decked shuttered facade. Inside, you’ll find its own cheeses alongside those crafted by local cheesemakers each brandishing its own label and description. The cheesy theme is bolstered by an excellent assortment of sausages and cured meats, Wisconsin beers, tasty crackers and additional snacks. The shop also sells all essential cheese-related paraphernalia — from cutters to fondue sets.